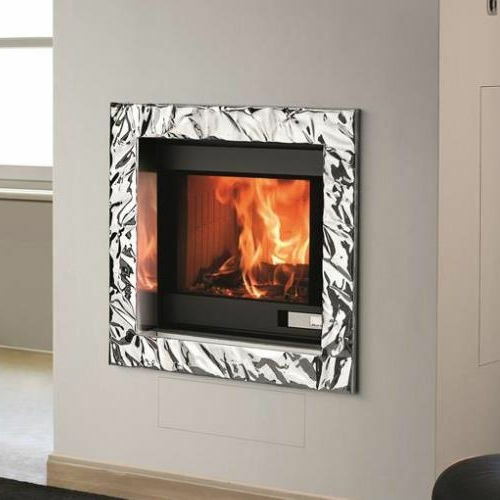 The FOGHET EVO ARIA heating fireplaces are the latest generation products using EVO technology to conform with all emission-environment regulations. With FOGHET EVO ARIA it is possible to choose how to heat the room, in a natural way with convection mode or fan forced air mode. FOGHET EVO ARIA is suited for any kind of location and ideal for new low energy consumption buildings. The airtight system allows it to use air from the outside, thus not taking air from the room. 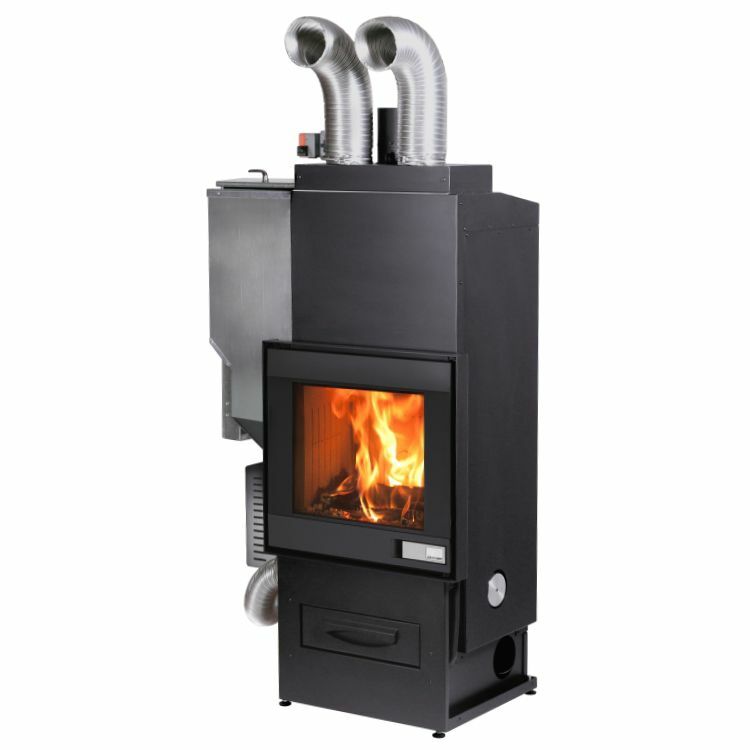 When operating in wood mode, FOGHET EVO ARIA runs and heats the room without any electricity. Heating even during a blackout. Thanks to the innovative heat exchanger that absorbs the combustion power using the natural draught of the flue chimney, you can continue to power the stove and heat the home naturally (for Wood). A specific function can be used to light the fireplace in wood mode using the pellet burner.